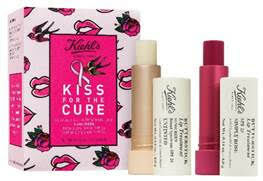 For every Kiss For The Cure Butterstick Lip Treatment Duo sold, Kiehl’s will donate 100% of net profits, up to $25,000 to Bright Pink. 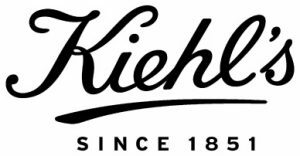 From Oct. 1 to Oct. 31, on Facebook, Instagram, or Twitter, Kiehl’s will donate $1 for every post of someone blowing a kiss to the camera, tagging @Kiehls and #KissForTheCure, up to $25,000. 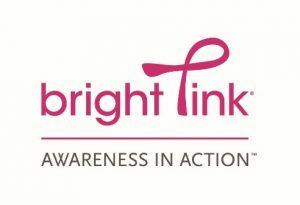 In addition, all Kiehl’s retail stores nationwide will be accepting donations for Bright Pink. To find your nearest store, please visit the store locator on Kiehls.com. The Kiss For The Cure Butterstick Lip Treatment Duo unites the Untinted and Simply Rose shades in a custom carton, allowing customers to keep oneButterstick Lip Treatment for themselves while giving one to a friend or loved one, reminding them of the importance of education and early detection of breast cancer. Kiehl’s Butterstick Lip Treatment is a supremely hydrating and smoothing balm that offers up to 12 hours of hydration. The formulas include broad spectrum SPF 25 sunscreen, providing the protection from UV rays that’s essential to keeping lips looking youthful and supple. Butterstick Lip Treatment’s creamy texture is achieved through a combination of butters and oils, including lemon butter and coconut oil. These two key ingredients provide a unique, lightweight, cushiony finish. Lemon Butter, sourced from California and obtained by cold pressing the lemon peel, is known to be rich in antioxidants. Within the formula, this natural butter helps protect lips from environmental stress, and infuses the treatment with a light citrus fragrance that engages the senses. Coconut Oil, fairly traded from the Philippines and often referred to as the ‘tree of life’, is a known a healing agent in Ayurvedic medicine that has been used for over 4,000 years. The oil, which is composed of over 90% saturated fatty acids, is an excellent “water sealer” that helps maintain skin hydration. Within the formula, it helps to hydrate and soften lips. I received samples and I love the Butterstick Lip Treatment! I highly recommend! It is just perfect for the Fall! A real beauty-must! Self Disclosure: I received free samples to facilitate this post. Images were also provided.